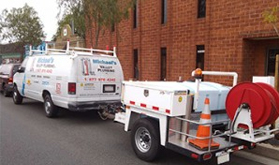 Trenchless Sewer and Drain Repair the No Dig Trenchless Solution to all your Sewer and Drain line problems provided by the “Trusted plumbing contractor Michael’s Valley Plumbing, Inc.” providing a fast, convenient way to repair your sewer line without trench digging. 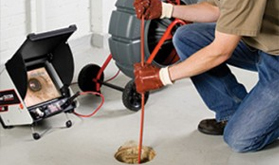 When a section of sewer pipe is very badly damaged or deteriorated, the preferred method called “Pipe Bursting” is the most common trenchless sewer repair solution. The old, damaged pipe is completely replaced, which distinguishes pipe bursting from Trenchless sewer pipe lining. Prevents Root Intrusion and Stops Leaks: cured-in-place epoxy lining molds to the diameter of the host pipe or creates a pipe where there are gaps, literally creating a seamless pipe within a pipe. 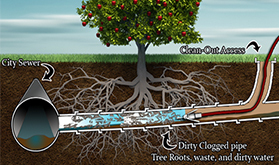 This eliminates the possibility of future root intrusion and increases flow. It is a handful of plumbing techniques that allow us to repair, and replace sewer and drain lines buried underground without digging destructive trenches across your property. Our Trenchless repair techniques preserve your property and reduce costs substantially, and are often completed in one day. Trenchless Pipe Replacement requires that two small holes to be dug to access the problem sewer line. 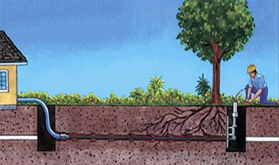 Horizontal or Lateral boring equipment using a high pressure water hydro jet technology is applied to clean out the current sewer line or to create a hole through which new piping is placed. 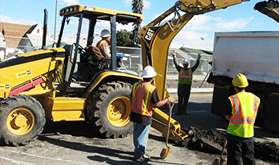 Sewer line replacement is the repair or replacement of damaged sewer pipe by replacing old damaged pipes for short footage distances or by inserting new pipes into the existing old and damaged ones. 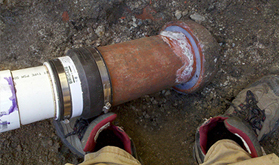 This sewer line reair and replacement technique is often referred to as the “NO DIGG” trenchless solution. 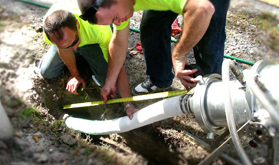 Sewer Pipe lining Service provided by the trusted “Sewer Pipe lining Specialists”. 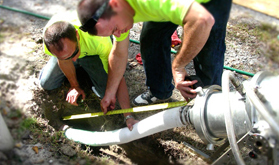 We offer you affordable, professional residential and commercial Sewer Pipe lining Service. 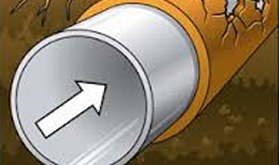 Sewer pipe lining is the repair of damaged sewer pipes by inserting new pipes into the existing old and damaged ones. Michael’s Valley Plumbing, Inc. is a “Trusted” plumbing contractor specializing in Sewer and Drain Repair services. We are available 24 hours a day, 7 days a week, as well as all holidays. 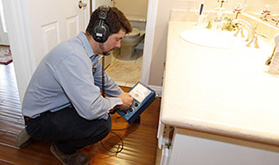 Our contractors have many years experience in all of the plumbing specialties. The team at Michael’s Valley Plumbing specialize in slab leak detection and repairing slab leaks, Ceiling Water Leaks, Water Leaking inside wall, Leak under Driveway, and will even take care of dealing and liaising with your insurance company to make the whole process as easy as possible. Similar to a pressure washing system for your home or automobile, this technology uses water under high pressure to scour the pipe walls of your drain or sewer, clean and remove grease, debris, tree roots, sand or dirt and flush it all out and away downstream. Video Camera Drain Inspection may be used to identify pipe damage and obstructions that inhibit proper flow or create occasional or repeated backups. The cameras also verify that obstructions have been eliminated and that the lines are clean following service. Video gives you a real-time visual inspection.